Reading is fun. Let’s have a wild romp through some Skagway books. One of the best ways to learn about any destination is to read books about it. If you’re planning an Alaska vacation with a stop in Skagway, there are a number of quality books to choose from. Today’s blog provides an overview of some of the best Skagway books so that you’re ready to get the most out of your visit. Skagway’s rich Klondike Gold Rush history and prominent role in the construction of the ALCAN during WWII is the kind of stuff writers go crazy for. Most Skagway books are all about history, whether it’s the outlaw Soapy Smith or the “soiled doves” that worked the saloons. You don’t see a lot of books about the modern era, but there are a few exceptions. For the purpose of this blog, we tried to find Skagway books that cover different eras and topics. Wasn’t that nice of us? This is the definitive book about Skagway. You can learn about all sorts of topics from its earliest days all the way to the modern era. There is ample space dedicated to Native history, the Gold Rush, WWII, and the modern era. This book is like walking through time and once you get started, you won’t want to put it down. 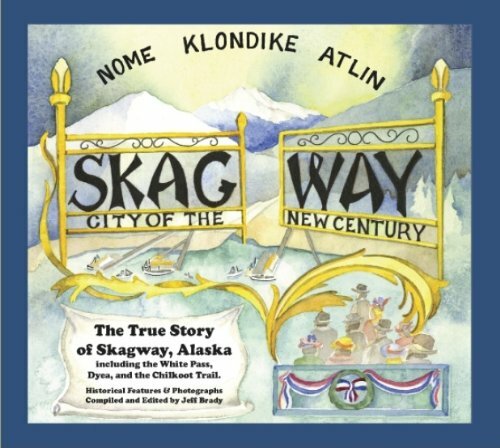 If you want to learn as much as you can about Skagway, this is the book for you. Stroller White lived in Skagway during the Gold Rush and this book is a compilation of his news stories. Authors like Jack London and Robert Service romanticized the Rush and wrote about the most prominent public figures of the era, but Stroller White wrote about the dregs of society and the ne’er-do-wells. If you want to learn more about The Hot Cake Kid and Big Bo Peep, this is a book you’re going to adore. Long title for such a fun book. 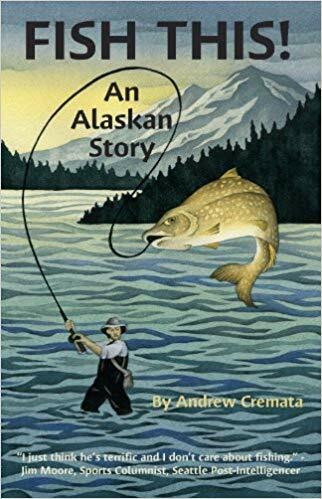 This book includes numerous stories from the Police Blotter in the Skagway newspaper, and some other quirky tales that will introduce you to the oddities of the north. Read all about the hilarity of using a crane to haul a bloated dead moose out of the ocean and plop it on your buddy’s car in the story of “Bloatwinkle!” Obviously, Skagway people have some times on their hands. This is one of those books I’ve always wanted to read but never get around to it. I know it’s a good book because I see it all of the book stores in and around Skagway. It’s about the boomtowns of the Alaska-Yukon gold stampedes and the women that worked the brothels and dance halls. If you get a chance to read it, let me know how it is. Wow. I couldn’t put this book down. For months I kept going to back to it over and over again. This is a great book about life in north from a real Alaskan local’s perspective. If you want to read Skagway books about the modern era and real frontier living, this is the book for you. I recommend buying one for yourself and one for anyone you know that loves the outdoors. They will cherish it forever and love you even more than they already do. Well that’s about it! We hope you enjoyed this overview of some of the most popular and incredible Skagway books.